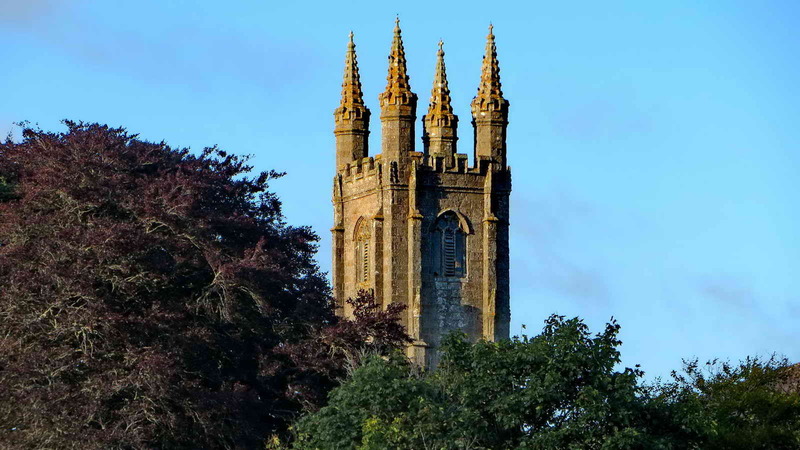 Widecombe Fair: another early start for Bernadette and Keith, leaving Plymouth at 7.30 am – and we didn’t have to be there to put up the gazebo – that was Derek and Val, even earlier! The day started somewhat unpromisingly in Plymouth, being all overcast and grey , with mist on the A38 towards Ashburton. 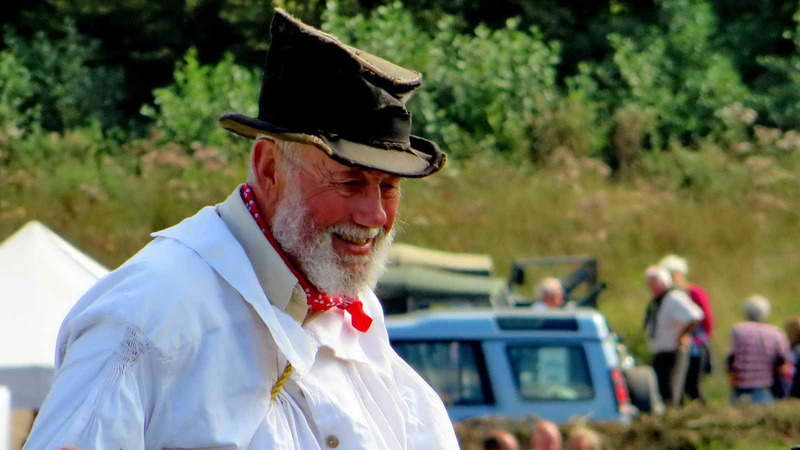 However, the day developed into a bright and sunny affair, with a good blue sky later: not too hot and not too cold. 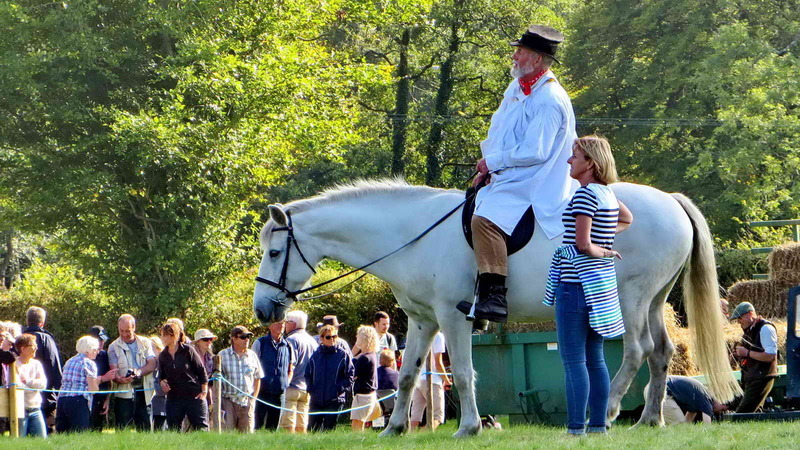 The usual attractions were there, these are best described on the official Widecombe Fair web site which is well worth a lengthy visit. 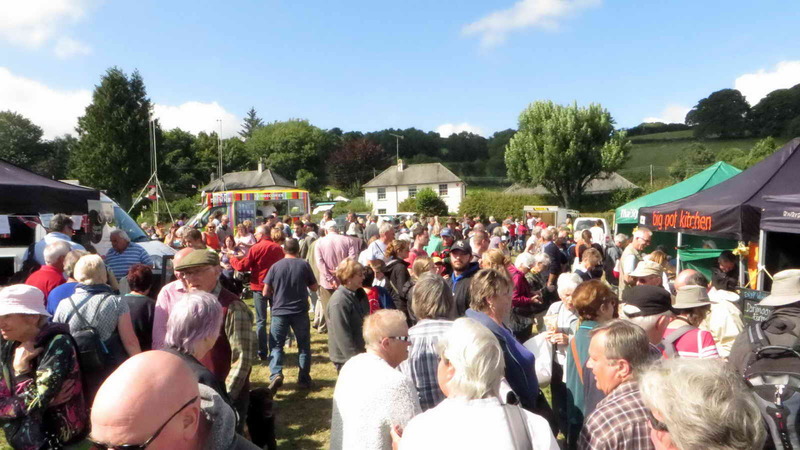 I have just noticed that under “Events”, number three is the beer tent with at least fifteen folk bands playing during the day. 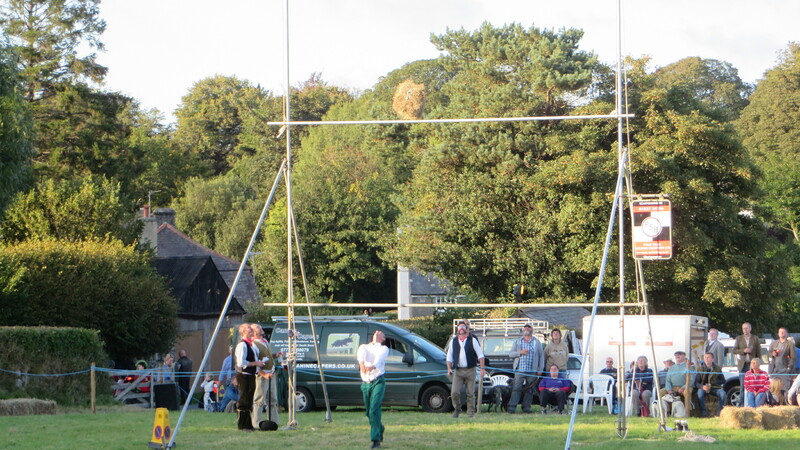 I mention this because of a certain beer tent photo (or photos) included below. 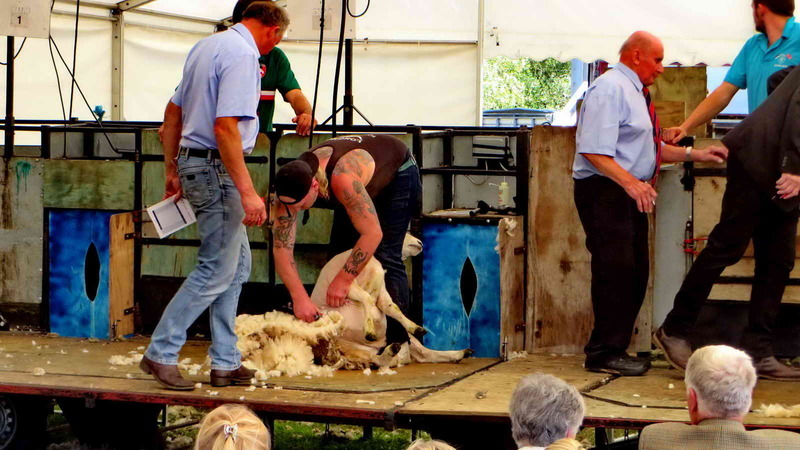 I will also mention the downhill race, sheep shearing and bale tossing (all on the web site) because I actually saw parts of these and will include photos below. 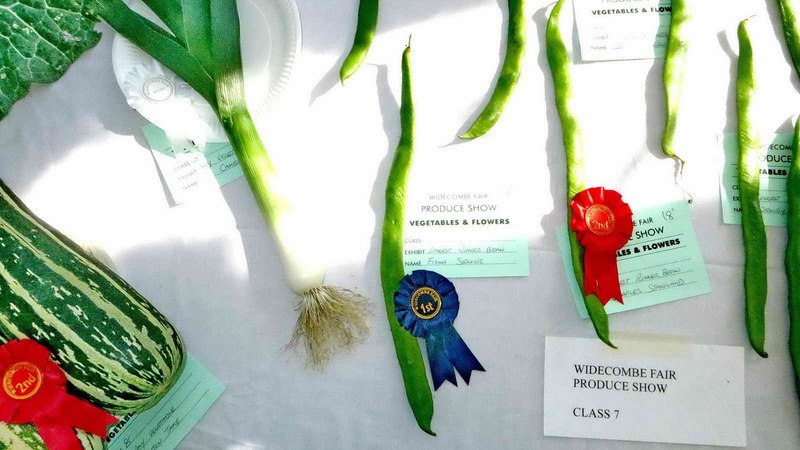 Also mentioned on the web site, under “Competitors” is the Home Produce show – I have to mention this because of a certain runner bean, also pictured below !! 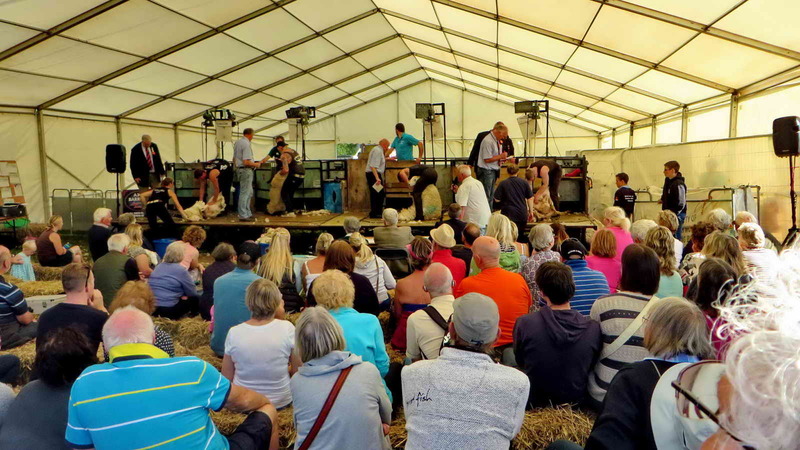 There is a video on Youtube that gives some idea of the atmosphere at the fair. 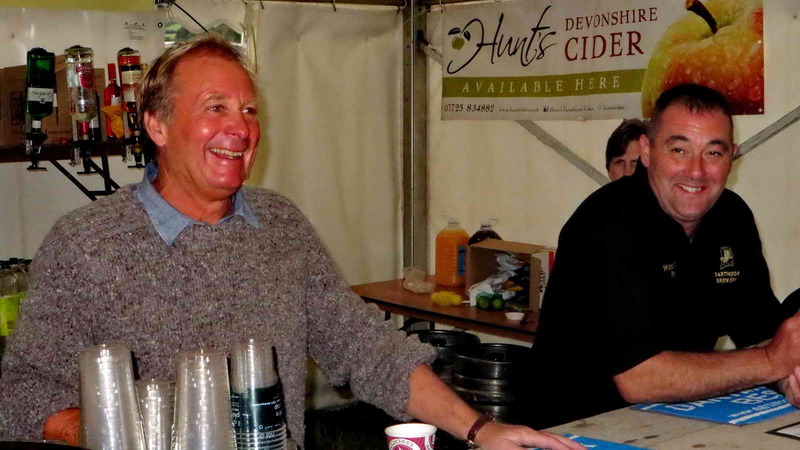 However, most of the day for Derek Collins, Val Barns, Berni and Keith Ryan, with a visit from John Howell, was spent on our hind legs manning the DPA stand. 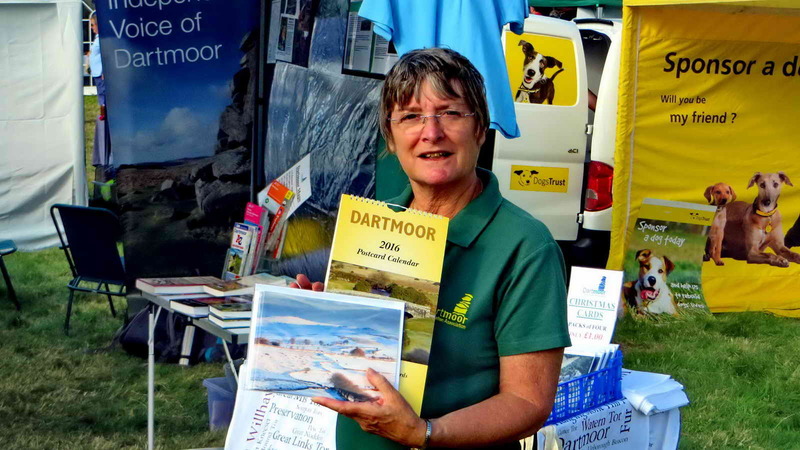 We were selling the regular range of items: books, maps, leisure wear, Christmas cards, calendars and other oddments to raise funds to support the DPA conservation efforts. We seemed to be quite busy so hopefully the final total will make it very worthwhile. 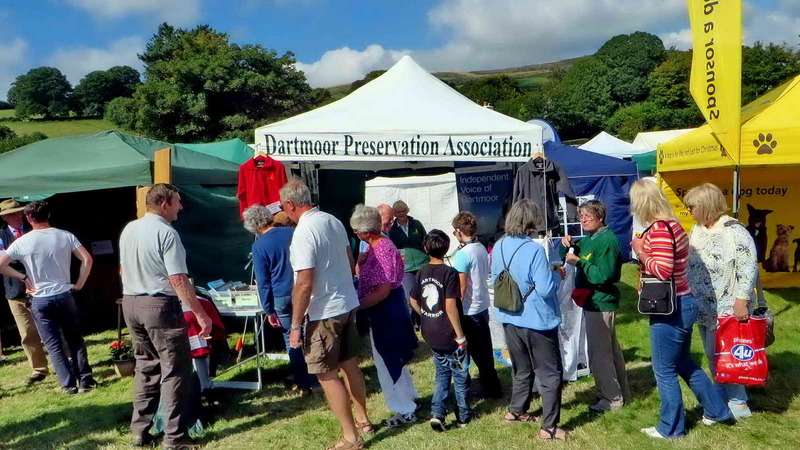 DPA stand with interested customers. General scene in the middle of the day. 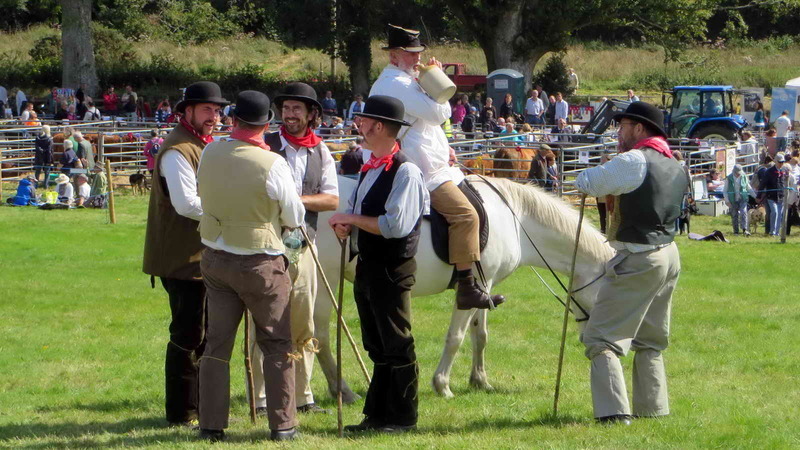 Uncle Tom Cobley, grey mare, flagon and friends. 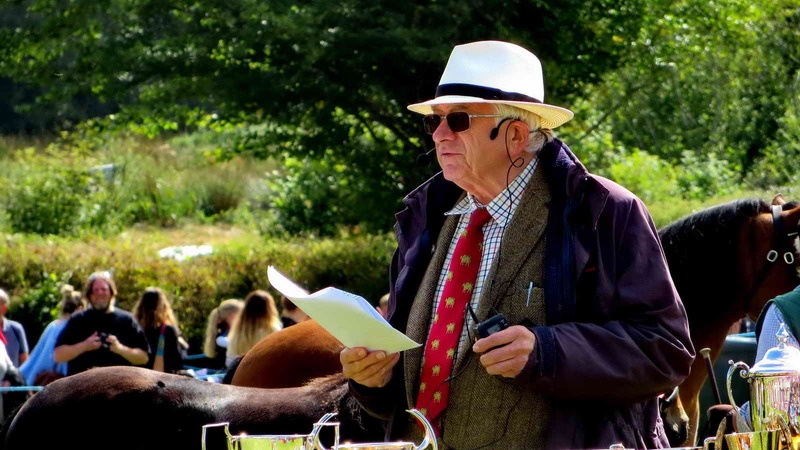 Tony Beard, The Wag From Widecombe, commentating on some pony judging. 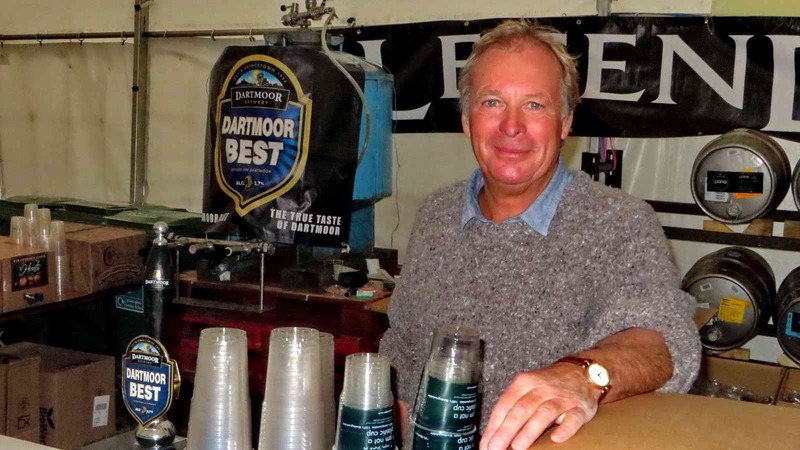 Mark Shackleton, Dartmoor Brewery, two days from retirement ….. 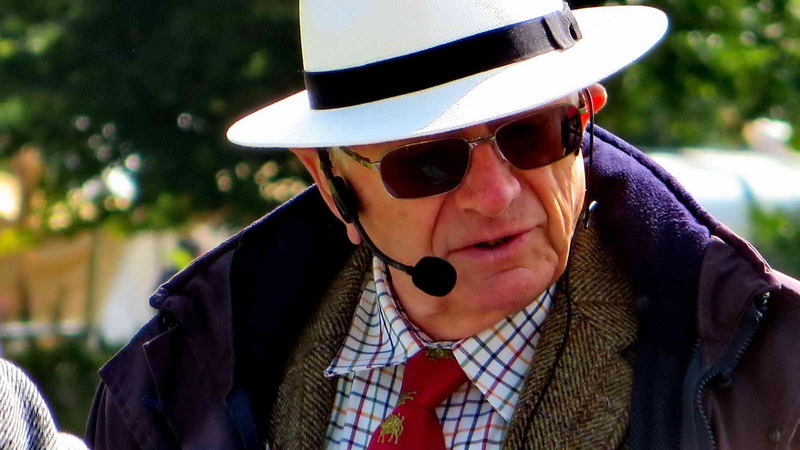 He will be missed at the fairs. 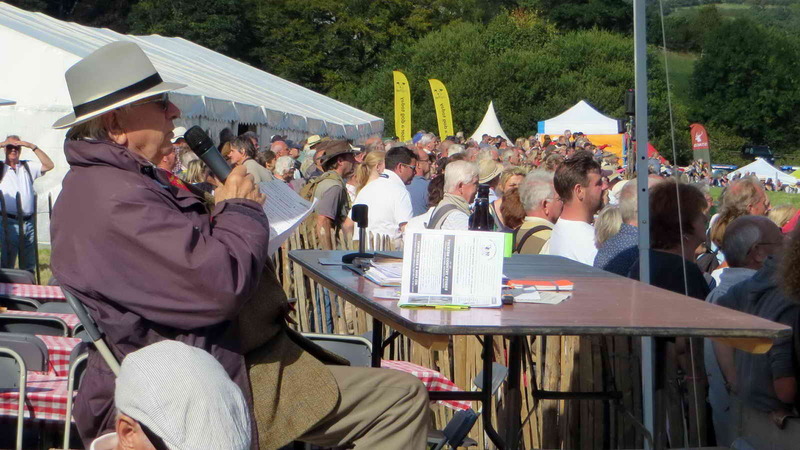 Tony Beard at the main ring commentary table. 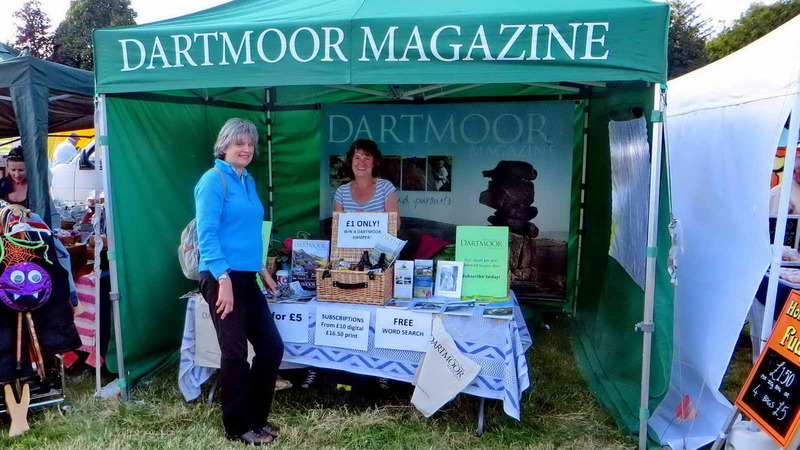 DPA’s Fiona (Twitter @DartmoorDPA ) and Sue (Twitter @DartmoorMagazine) at the Dartmoor Magazine stand. 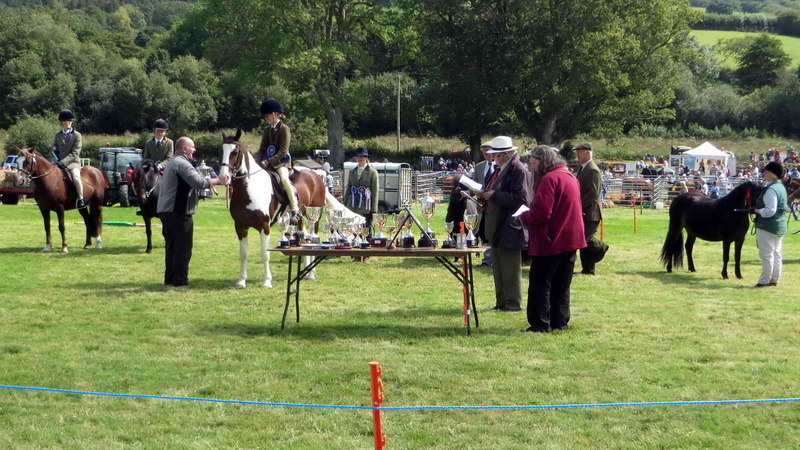 1st Prize runner bean, who won that? 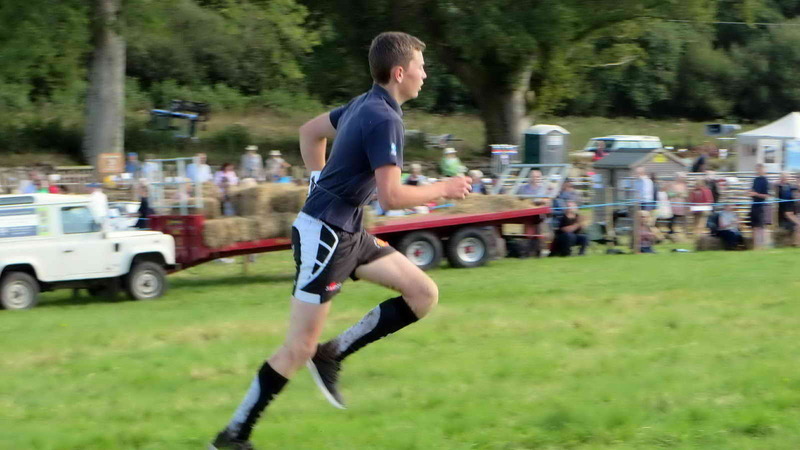 Watching for the runners in the Downhill Race …..
First man home, in a ridiculous time! I believe, third man home. 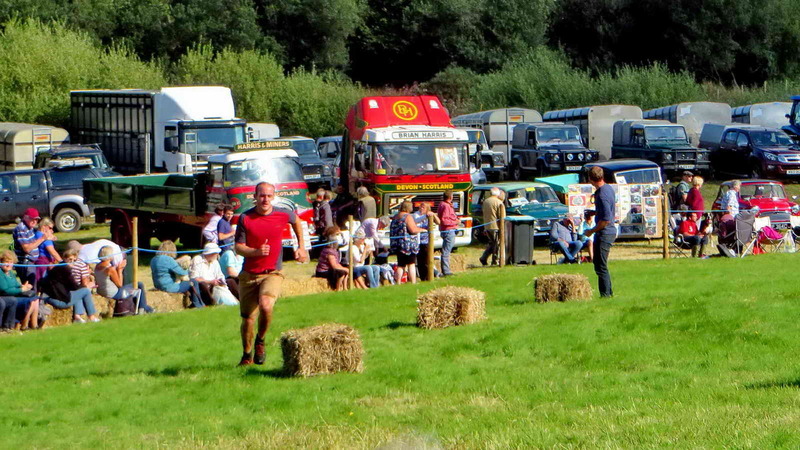 Bale tossing competition – that takes a bit of throwing! 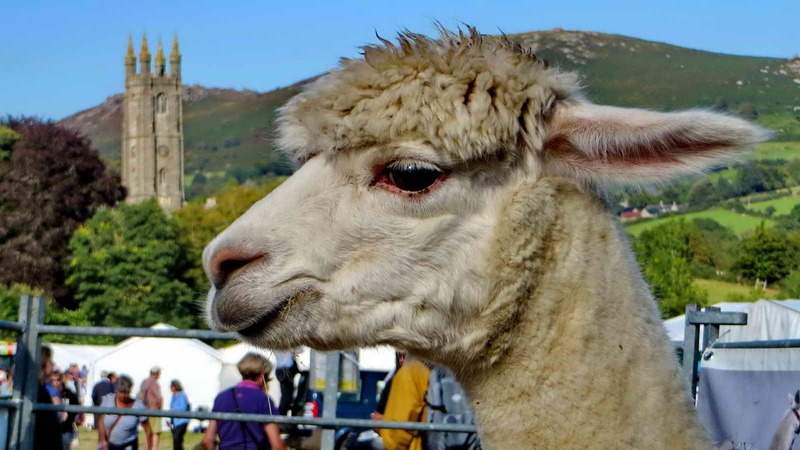 Alpaca, with Widecombe church tower behind …..
Last look at the church tower, with the lowering sun on its west face. 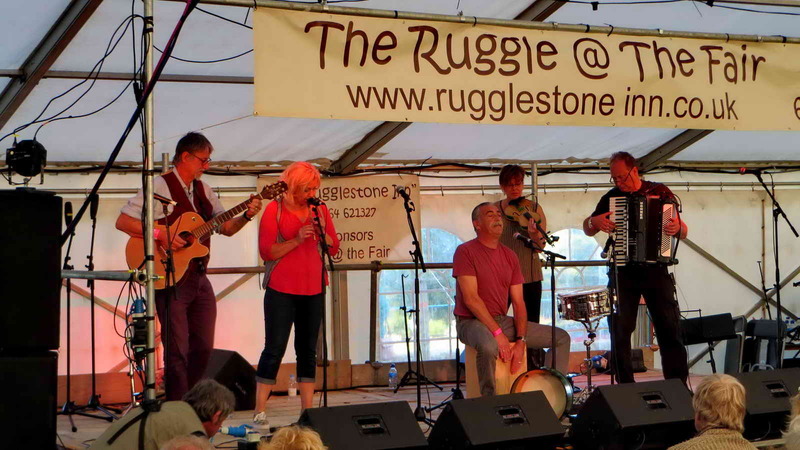 Missed you all at Lustleigh ! 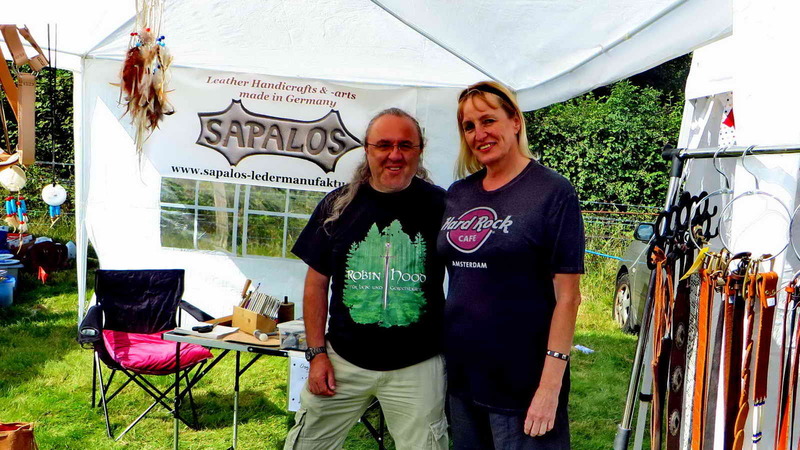 Well done – the stall looks great – and you had fantastic weather for the day.